The aim of this information is to explain what is meant by barring and to set out how the DBS decide whether they should consider you for barring. Further information on how to make representations and appeal a DBS decision can be found here. If you are included on a barred list, then you will be breaking the law if you seek to work in regulated activity with a group from which you are barred. Likewise, employers will be breaking the law if they knowingly employ somebody who is on a barred list. You need to be aware whether your offence is an automatic barring offence or an automatic inclusion offence, as this will dictate whether you are able to make representations against being placed on a barring list. It’s important to know that, if at the time of your caution/conviction you are not working in regulated activity and your offence is a automatic inclusion offence, then the DBS will have no reason to consider you for barring. However, they can review this at any time in the future if you wish to work in regulated activity with either children or vulnerable adults. If you are given the opportunity to make representations, then you should do so. The DBS will be more likely to add you to a barred list if you do not make a case for them not to do so. In September 2012 based largely on recommendations contained in the two reports – “A Common Sense Approach” (Criminal records regime review by Sunita Mason) and the government’s own “Vetting and Barring Scheme Remodelling Review”, changes were made that affected the organisation and some of the policies, processes and procedures of both the Criminal Records Bureau (CRB) and the Independent Safeguarding Authority (ISA). In December 2012 the functions of both these bodies (CRB and ISA) were integrated and taken over by a new non-departmental public body, the Disclosure and Barring Service (DBS). Whilst there has been no change to existing legal prohibitions on persons recorded in either the children’s or adults’ barred lists applying for positions (employed or voluntary) involving ‘regulated activity’, the definitions of what constitutes ‘regulated activity’ have been revised; both in relation to working with children and adults. For anyone applying for positions involving regulated activity, barred list information (child, adult or both) will be included as part of the enhanced disclosure certificate (now known as an “enhanced check for regulated activity”). However, it is important to realise that even if a position now falls outside the revised definition of regulated activity, it may still be entitled to an enhanced check (now known as an “enhanced DBS check”). This is because the previous employment and voluntary roles which were subject to the Rehabilitation of Offenders Act (Exceptions Order) and the Police Act 1997 have not changed. Therefore employers and voluntary organisations are still entitled to request an enhanced DBS check for certain jobs, but are only entitled to request an enhanced check for regulated activity where the position meets the new definitions of regulated activity. There are two barred lists; the Children’s barred list and the Adults’ barred list. Since December 2012 these lists have been maintained by the Disclosure and Barring Service (DBS). 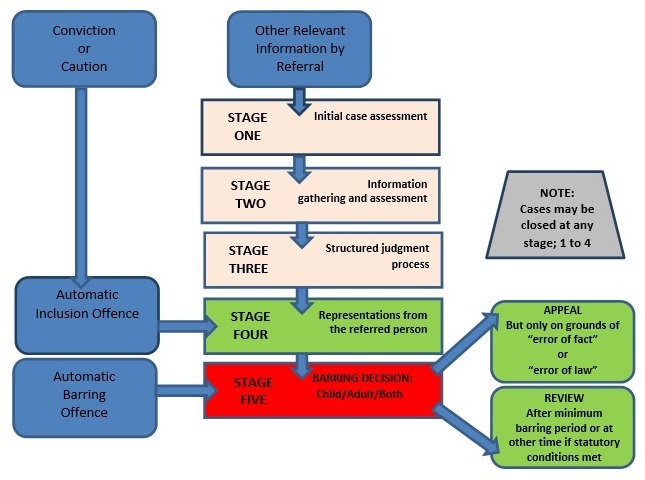 Inclusion in one or both barred lists results from information about relevant convictions or cautions and/or any other referral information which is assessed typically using a comprehensive risk assessment process (as outlined below), and the outcome suggests the person may pose a future risk of harm. An employer or volunteer manager is breaking the law if they knowingly employ you in regulated activity with a group that you are barred from working or volunteering with. If you are barred, you are breaking the law if you seek, offer or engage in regulated activity with a group that you are barred from working or volunteering with. If you were barred prior to September 2012, you may review at any time whether you now, do not meet the test for regulated activity (where you have not, are not, and there is no indication you might in the future be working in regulated activity with vulnerable groups including children); or, where certain other statutory conditions are met. 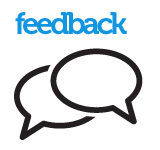 This is in addition to your existing right to seek a review after the minimum barring period. When the DBS are advised of a relevant conviction, caution or other information indicating that you may pose some risk of harm to vulnerable groups including children, it will formally notify you of this in writing. There are two types of formal notification. Notification of inclusion in a barred list – This is where you have been convicted of an ‘Autobar’ offence. These are the most serious offences in which there will be no opportunity to make representations for removal due to the seriousness of the offence. Notification of ‘Minded to Bar’ – These are either automatic inclusion offences (where you have been cautioned or convicted of a ‘relevant offence’) or where the DBS has assessed information and is minded to include you in a barred list. In these cases, you will be invited to make representations as to why you should not be barred prior to any final barring decision being made. In all cases, except automatic barring offences, the DBS cannot include an individual on a list unless they can establish that the person is, has been, or might in the future be, engaged in regulated activity with children or vulnerable adults. The test for regulated activity will be considered by assessing all information available to the DBS including the case material, police information and evidence of an application for an enhanced disclosure certificate to work with children or vulnerable adults. Organisations who are not included in the above list can still refer individuals to the DBS if they have any concerns regarding safeguarding issues. In these circumstances, the DBS will usually write to you informing you that they are ‘minded to bar’ and invite you to make representations before they include you on a barred list. If you apply for a role that involves working in regulated activity where an enhanced DBS check will be carried out, and you have previously been cautioned or convicted of an automatic inclusion offence (irrespective of how long ago it was), then the DBS will consider whether you should be included on the barred list. You will usually be sent a “minded to bar” letter by the DBS and given the opportunity to make representations as to why you should not be placed on a barring list. If you have an automatic barring offence, you will have no opportunity to make representations as to why you should not be placed on a barring list. Automatic Barring Offences – These are the most serious of offences and due to the severity of them, people cautioned or convicted of these offences are not able to make representations as to why they should not be included in a barred list. Automatic Inclusion Offences – Where an individual is cautioned or convicted for an automatic inclusion offence, they are invited to make representations before they are included in a barred list. It is important to note that some offences may be classed by either the victim(s) involved or the victim’s age. The DBS originally published a factsheet which didn’t make it clear which offences are regarded as ‘automatic barring offences’, and which offences are regarded as ‘automatic inclusion offences’. Unlock brought this to the attention of the DBS, and they updated their relevant offences referral guide as a result. The option to make representations, where available, will be advised in a ‘formal notification of barring’ letter. Those wishing to make representations should be aware that there are time limitations (8 weeks) for doing so. A person who accepts a caution or receives a conviction for a ‘relevant offence’ which is an automatic barring offence will be automatically barred from working in regulated activity with children and/or vulnerable adults. This information is collected from a variety of sources, including the police, employer referrals and regulators (holders of professional registers). Certain types of employers and organisations have a legal obligation to refer relevant information regarding an individual. These include any employer providing regulated activity and any suppliers of personnel for work or volunteer positions involving regulated activity. Similar referrals are optional for those employers working with vulnerable groups where regulated activities are not carried out. With the exception of those persons having committed an offence leading to automatic barring without right to make representations, a person can only be included in the barred lists if they are, have been in the past, or are likely in future, to engage in regulated activity. Once barring decisions are made, they are still open to both review and/or appeal in a number of circumstances. A detailed factsheet on the decision making process is available here. +-Why have I received a letter stating that the DBS are considering barring me? You have applied for a role that involves regulated activity and a DBS Enhanced check is being conducted on you. Your caution or conviction is an automatic inclusion offence, therefore the DBS will consider whether you should be included on the barred lists. The letter the DBS has sent you is called a “minded to bar” letter, which allow you to make representations as to why you should not be placed on a barred list/s. There is a time limit of eight weeks to make your representations.